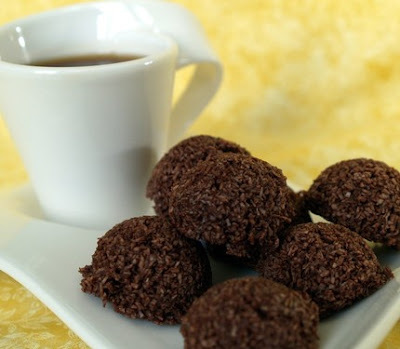 Coconut Fudge Macaroons sound divine and are from The Greenwood Kitchen & Bake Shop. 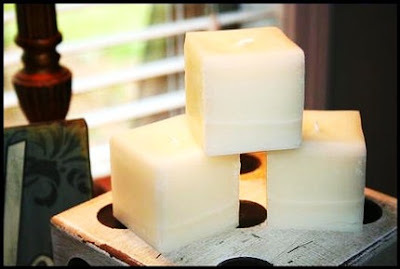 Vanilla coconut candles are soy and beeswax and are from Urban Cottage Candles. 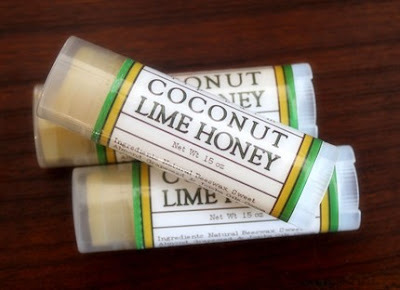 How delicious does the Coconut Lime Honey lip balm from Long Winter Farm sound? 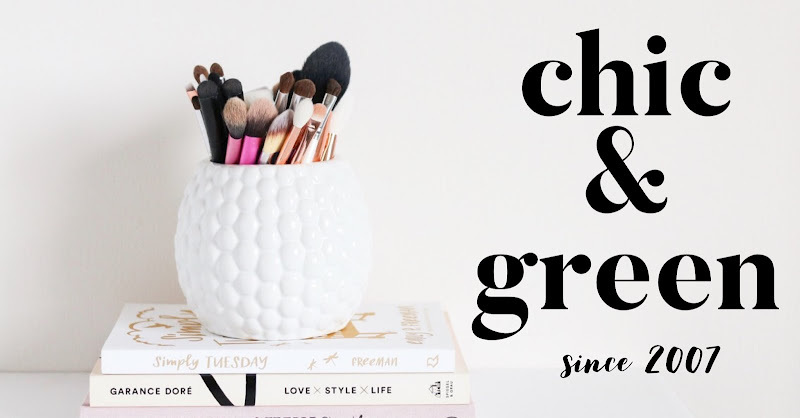 Sarong from Theme Fragrance features white vanilla sand, coconut and blooming flowers. 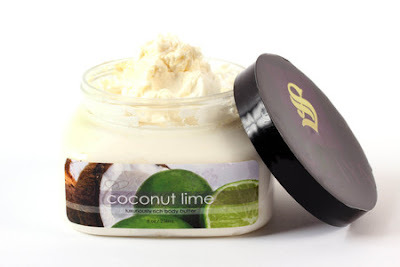 Coconut Lime Body Butter from Safiya would smell lovely for spring. 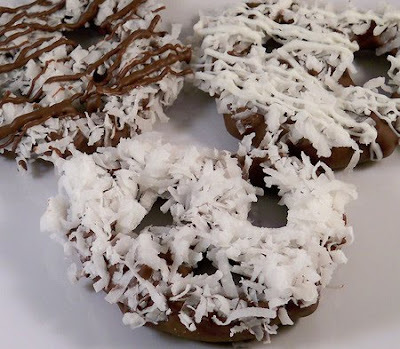 Chocolate, pretzels and coconut? Yum! 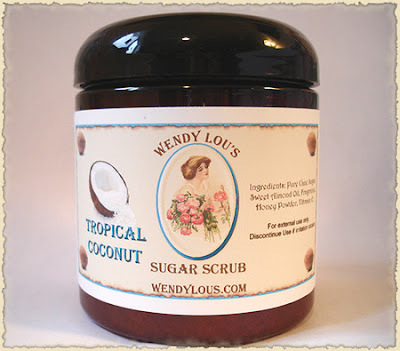 Tropical Coconut Scrub from Wendy Lou's will have your skin glowing in no time. 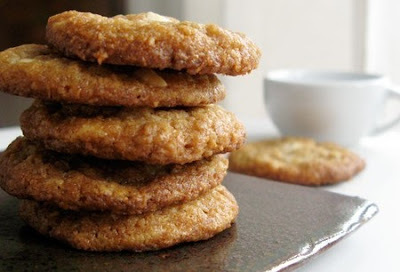 Coconut Five Spice White Chocolate Cookies from Whimsy & Spice sound heavenly! 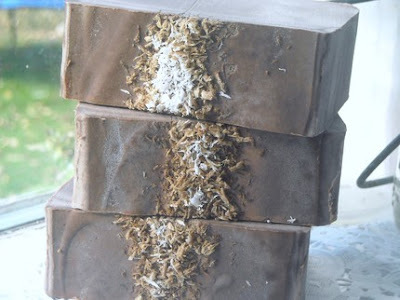 Toasted Coconut Soap from Southern Vermont Soap is free of palm oil. 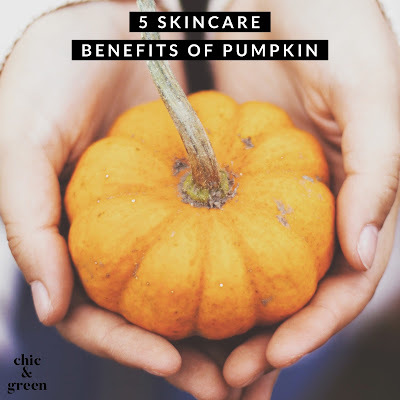 I recommend only 3 soapmakers and this is one of them.